Matchstick rockets are actual fully functional rockets that you can build in minutes from common household materials. They are also quite safe since each rocket is constructed from just one solitary little paper match. There just ain't enough propellent to explode no matter how badly you go wrong in construction. 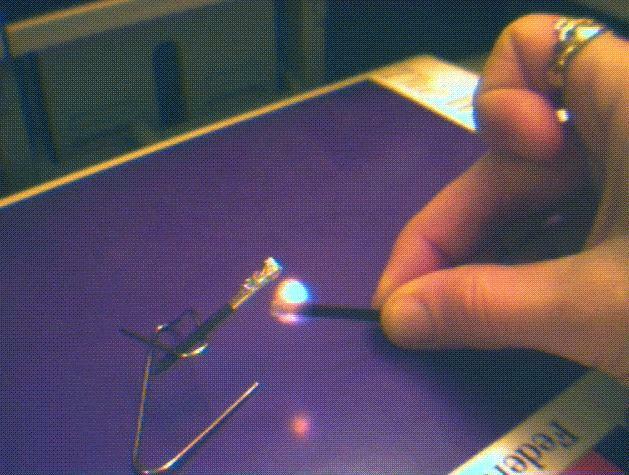 To turn an ordinary paper match into a matchstick rocket, the head of the match is encased in a small wrap of aluminum foil, leaving a narrow nozzle for the hot exhaust gases to escape. The matchstick rocket is ignited simply by holding another lit match beneath the aluminum-wrapped region of the rocket until the match head inside ignites. The rapidly burning match head generates a fraction of a second's worth of powerful thrust. This impulse propels the matchstick rocket up off the launch pad and off into space (relatively speaking). 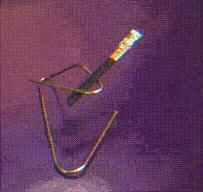 A matchstick rocket is typically launched from a little paper clip launch pad. 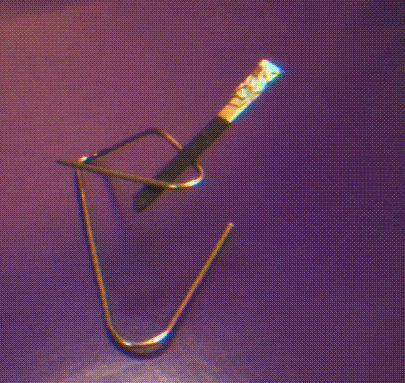 The paper clip can be easily bent and adjusted to allow you to experiment with different launch trajectories. Flight altitudes and distances vary widely, but a well built matchstick rocket can travel over a dozen feet or more! Well, I know your heart is already starting to beat a bit faster. Read on, and learn how to make your own matchstick rockets, and you too can experience the pride and excitement of watching one lift off amidst a thunderous plume of smoke to go soaring off into the wild blue yonder! Work in a safe area away from flammable materials. Follow the instructions below carefully. You can click on the small pictures to view larger images depicting various stages of assembly of the matchstick rocket. 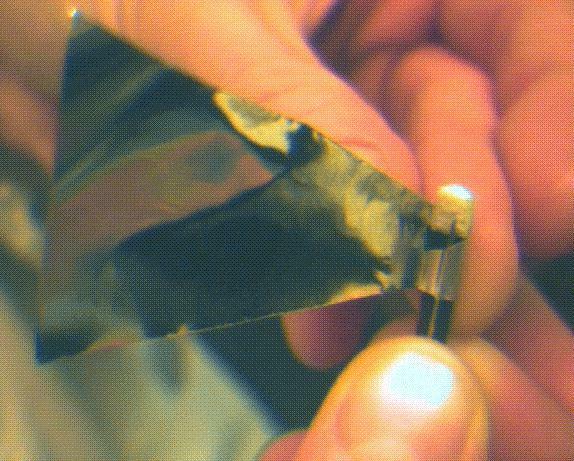 Prepare a small triangle of aluminum foil, approximately one inch by two inches. This will be used to wrap the match head. Keep this handy for step two. Then tear out one match from the book of matches. 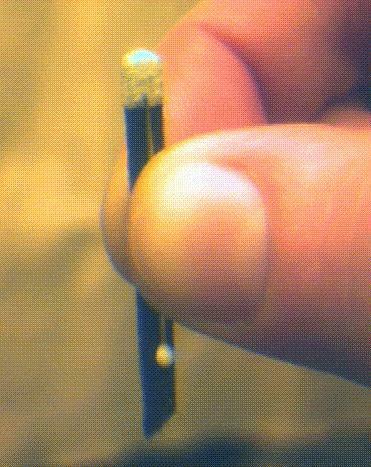 Hold the straight pin along one side of the paper match so that the tip of the pin just reaches the match head. Do not let the pin project beyond the match head or it will pierce the aluminum foil when you go to wrap the match head. Begin wrapping the foil around the match head. The foil wrap should extend maybe a quarter of an inch or so below the match head. Be careful not to disturb the position of the straight pin as you wrap. Try to wrap the foil as tightly as possible. When the foil is completely wrapped around the match head, fold the excess foil that is projecting beyond the end of the match over to the side of the match opposite the pin. Use your thumbnails and carefully crease the foil alongside the pin. This will create a tighter seal and a narrower exhaust channel, increasing the velocity of the exhaust gases. Then remove the pin-- it was only a form for the channel. 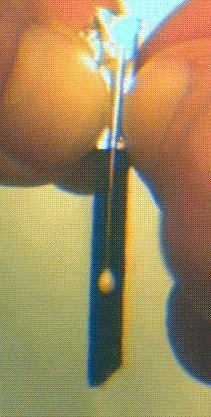 Bend the paper clip into the shape shown and adjust until the matchstick rocket can be placed as a suitable angle for launch. Now you're ready to begin the countdown. Clear the launch area in front of the projected trajectory of the rocket. Light a match and hold it directly beneath the end of the foil-wrapped match head. Within seconds, the matchstick rocket should ignite, leaving the launch pad with an impressive roar (relatively speaking)! Safety-wise, just use the ol' noodle and exercise some common sense. You are playing with matches, OK? So at least do so in a sane manner. Work in a well ventilated area away from solvents and other flammable materials. Keep a pail of water handy and dunk your spent rockets in the water to make sure they are entirely out. Don't ever shoot matchstick rockets towards another person. And as depicted here in the accompanying graphic-- keep your face clear of the launch area. 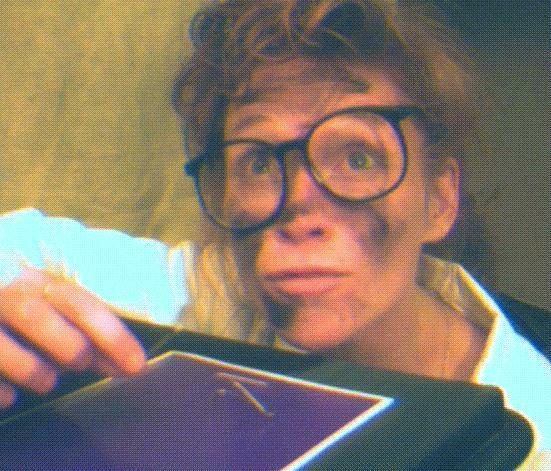 Meet chief matchstick rocket scientist Denny.